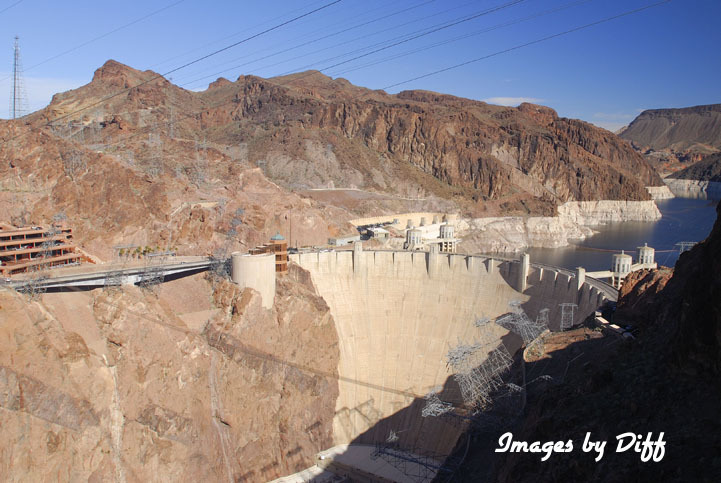 click photo to enlarge Hoover Dam is 726 tall and weighs more then 6 million tons. The power plant today produces approximately 2,000 megawatts. The dam and power plant are operated by the Bureau of Reclamation. 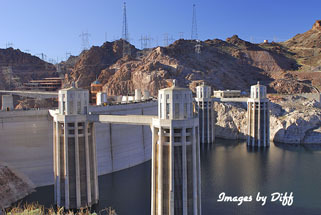 They offer tours of the dam that are well worth taking. 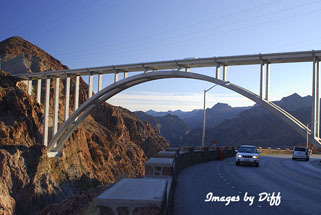 click photo to enlarge After 9/11 traffic was routed around the dam and you were no longer allowed to drive over the dam. 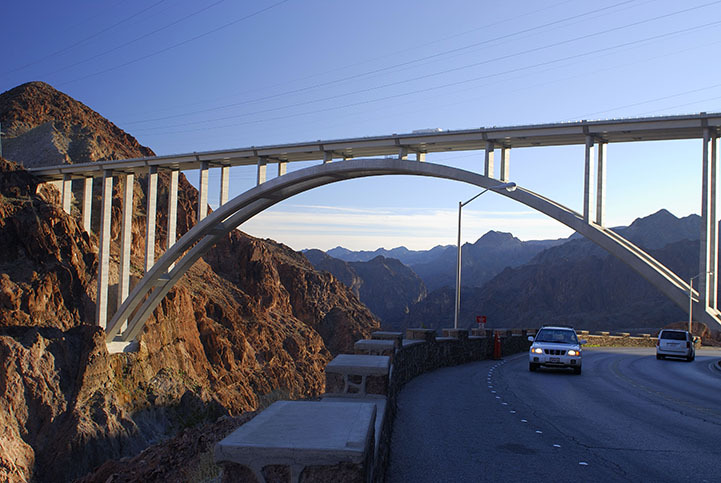 Today the new Mike O'Callaghan – Pat Tillman Memorial Bridge, also called the Route 93 or Hoover Dam bypass, is open taking traffic away from the dam. 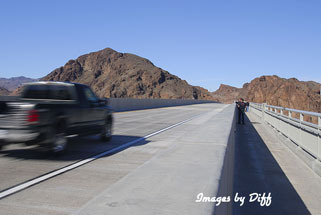 You can now drive over the dam from the Nevada side to the Arizona side but the road dead ends. The bypass bridge has a small parking lot and walk way to go up and walk over the bridge. click photo to enlarge The picture in the lower left shows just how close you are to fast moving traffic going over the bridge. You are separated by concrete barriers. 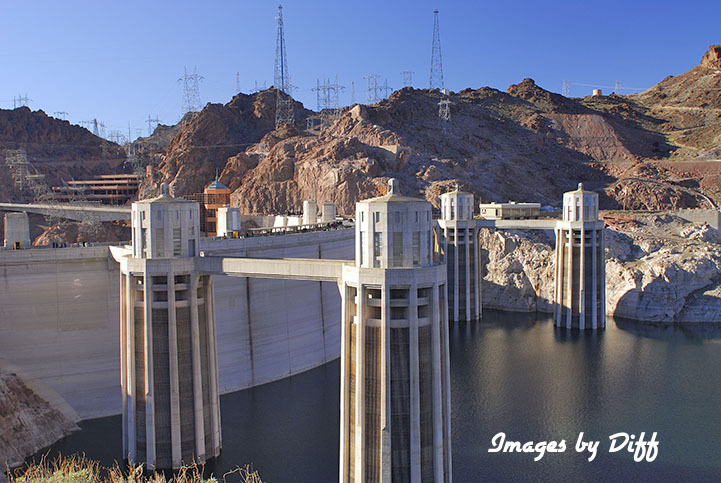 The level of Lake Mead is down 147 ft and in October of 2010 passed historic low levels. The lake is only 1/3 full now. I have photographs from 1998 when we were there, not digital however, and the drop in lake levels is pretty significant. 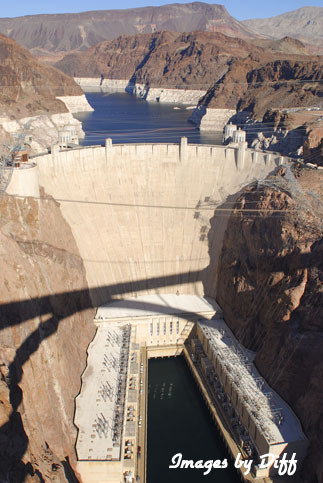 In 1998 it was a maximum of 1214 feet and today it is 1081 feet. The bureau of Reclamation has bar graphs here.